Photography, photo-based works and videos (max 5 minutes) are eligible for the show. SIZE: The maximum size for framed work is 20 inches on longest side. Or, one video of up to 5 minutes. For video provide a link to the video in Step Two below. - title or part of title depending on length. How did you hear about the Annual Group Show? Submission fee is $25 (Up to 5 jpgs). Please pay for submissions immediately before or after uploading your file. You can pay with your Paypal account or with any credit card. You do not need a Paypal account to pay via credit card. 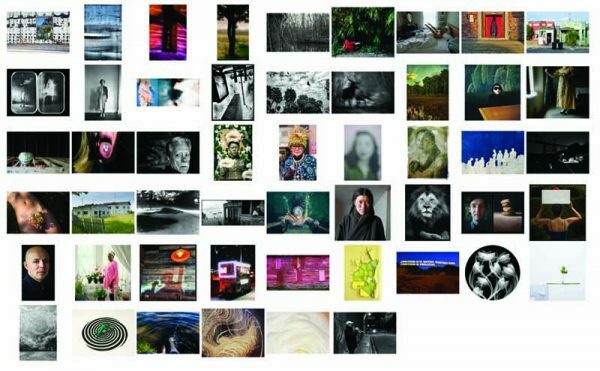 Photographers selected for exhibition agree to provide artist information and framed prints (or prints prepared for framing – see below) one week before exhibition. Fine art prints of the specific jpg images selected – no larger than 20 inches on longest side. Some Frames Are Available The gallery has a number of 16” x 20” and 20″x20″ black matte Nielson-style metal frames available for artist use. In this case, reserve frames by sending request email to Karen@davisortongallery.com. Your prints must be prepared (matted or mounted) to fit properly in these frames. Accepted artists will be sent a link to a Group Show Artist Information Form. There you will be asked for the following. Return information including name, address, telephone number and whether you will be sending the gallery a pre-paid return label (UPS or USPS preferred) or check or if you wish to have the gallery return your print(s) via UPS and charge you for return. All photographs selected for exhibition must be for sale while in exhibition. All photographs are sold on consignment. The Gallery keeps 50% of the print sale price. The artist receives 50% of the print sale price. Sale proceeds will be paid to the artist within 30 days of the close of the show. NB: The print price should be the same price that your print is sold for in other exhibition venues. IMAGE REPRESENTATION – The gallery reserves the right to withdraw an offer to exhibit if the jpgs provided by the artist do not accurately represent the prints. LATE SUBMISSIONS AND LATE PAYMENTS – No submission without payment will be considered. No submission will be considered after the deadline. Payments made after the deadline will be refunded at 80%. SHIPPING – All shipping and shipping insurance costs for photographs to and from the Gallery are the responsibility of the artist. Complete instructions will be provided upon acceptance into the show. RESPONSIBILITY FOR LOSS OR DAMAGE – The Gallery shall be responsible for the safekeeping of all photographs while in Gallery’s possession. The Gallery shall be strictly liable to the artist for their loss or damage (except for damage resulting from flaws inherent in the photographs), to the full value artist would have received from Gallery if the artwork had been sold. AGREEMENT – By submitting to this show the artist agrees that images of photographs or video stills can be used to promote the show including publicity and web site promotions. Copyright credit will be given to the artist. Submission of entry constitutes agreement to all conditions in this Call for Entries and Entry Form. Artist hereby represents and warrants to Gallery that she or he is the creator of the Artwork and is the owner of all rights to the Artwork and their use as granted to Gallery in this Agreement.